Gain true insight of user behavior and understand which elements and features of your website engage web visitors the most to achieve genuine ROI impact! With Authority Solutions™ Heat Map software, level up your online optimization! If you are an e-commerce, startup or online business, one of the best methods for to you boost your Conversion Rate Optimization campaign is to run website heat maps like click or mouse movement and scroll heat maps. Heat mapping is a very simple but very efficient way to analyze visitor interaction and user behavior on your website. As the best SEO service and internet marketing company, Authority Solutions™ provides businesses with the best website heat map software for your business website. We have the most effective SEO techniques and strategies that are available today. Once our heat map software is implemented on your website, your company will not only have more traffic but more importantly, it will also achieve higher conversions. What is a Website Heat Map? One underrated aspect of Conversion Optimization that most businesses have not given attention to is heated mapping. If you are this kind of businessman, then you are not getting the significant benefits heat mapping gives in boosting your conversion rates. This SEO tool that can drive more traffic to your website and ultimately increase your conversion. A website heat map is a tool that makes use of a color coding system to graphically present data and values. A heatmap is created by recording all click and mouse movements of your website visitors, where the different parts of frequency are then colored. The most frequented are colored red while the least frequented is colored blue. This wonderful and easy-to-interpret visualization format can help you understand which part of your page got most of your visitors’ attention. A website heat map provides real-time analytics to help you understand, in seconds, what are your best-performing contents and what is not performing well. It can be a very powerful tool when you are preparing website navigation and sales copy. If you have not yet employed this profitable tool in your SEO campaign, this is the best time to find the best website heat map software that will deliver unparalleled accuracy and data-driven results. What are the Benefits of a Heat Map Software on your Website? If you are asking what good can a heatmap do on your website, the answer depends on the kind of heat map software you want to use. Here are some of the different kinds of heat maps and their benefits. Click Heatmap. If your landing page has four Call to Action buttons, you would like to know which one brings the most conversion. A click heat map can easily show you what you want to see and know. Mouse Movement Heatmap. There are people who spend so much time reading descriptions and looking at product pages. However, they do not necessarily click. Using as a basis on where they move and hover their cursor, you can conclude what part of the page they were reading or watching. You can get a good estimation of which part of the text they have read and which part they did not. Scroll Heatmap. Do you know that some people do not scroll when they land on a page of your website? If you want to know how many do not scroll on your website, then you can easily find out with scroll depth heatmap. But on a mobile or tablet device, people usually are scrolling. Conversion Rate Optimization is considered to be the Holy Grail of online business. However, not many businesses realize that they could increase their conversion rate with an SEO tool that most businessmen in the internet marketing industry take for granted–heat mapping. You can improve your conversion rate with the help of heat maps. It will help you track user clicks by tracking the elements of your website that the users click on. When you know where your customers are most likely to click, you can improve your website by enriching the areas that get the most clicks and removing those that do not get any kind of attention. Learn which elements of your website does not get any attention. Heat maps identify the areas of your website that get the least attention from visitors. It is helpful in optimizing your website because you can remove those areas that people are not really interested in. With a website heat map software, you can assess elements such as text and pictures that need to be improved or removed. With heat maps, you can trim down your website and keep only the important elements that attract attention. Draw attention to the right areas. Having identified the areas of your website that get the attention of users, you can focus on improving these areas and so you can draw more attention from site visitors. Heat map analysis helps you identify what areas people are drawn to. Then you can determine where you will place your sign up buttons, CTA or products so that they will be noticed the most. Heat maps can determine what page your visitors are often clicking. If you have buttons on pages that visitors are not giving attention, you can change the location of these buttons. Heat maps will guide you in identifying the optimal places best for placing your links. It will also make you understand your design flaws when there is some navigation confusion. If visitors click on certain parts of your website that are not clickable, then you can make that area clickable. Teaches you what your visitors are like. Heat map analytics provides information about your visitors’ interest with a concrete visual cue. Based on the results of heat map, you can tweak your website and add what your visitors like to see. An Eye Tracking Heat Map can help you test if your visitors are getting distracted on your website. If that is true on your website, you might want to consider redesigning your site. There is no perfect website.  With heat map and analytics, you will understand how conversion ready your website or landing page is. You will know what is working and what is not. When you make changes and modifications, you will never know if they were helpful or they only worsen the problem, unless you test it. When substantial modifications are done on your website, always test and ensure that these changes are giving the best results for your website. While there are many heat maps softwares and heat map provider you can find on the Internet, it is very important that you choose the best software and the provider that can significantly contribute to the success of your optimization campaign. There truly is a variety of selection of software and provider that you can choose from, but you need the one you can trust! You need Authority Solutions™! We are America’s Top SEO and Internet Marketing Company and we offer the best website heat map software for your website. We have dynamic heatmaps. While other conventional heat maps use snapshots for your pages to display user activity, Authority Solutions™ heat maps display live pages. You can see user activity on even dynamic elements. Our website heatmaps allow multi-page navigation. You can see mouse activity across multiples pages. You only have to turn on the navigation mode to view heat maps on your entire website, including those pages with dynamic URLs. Authority Solutions™ website heat maps have multi-device tracking. You can view your website heat maps on a mobile phone, tablet or desktop. You can immediately see the difference in visitor behavior across devices to customize user experience accordingly. We are now in an era where consumers in the market want to have a more personalized relationship with the businesses they are purchasing products and services from. We need to learn how to understand their behavior and the way they interact with your website. Therefore, we have to exert all efforts and maximize all resources to give the best services to our clients and potential customers. 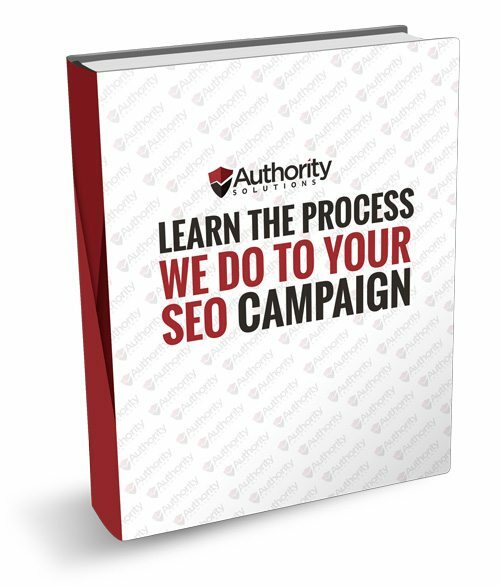 At Authority Solutions™, we only provide the most effective SEO strategies and the best website heat map software that will really work for your business. Get unparalleled accuracy, data-driven results, and genuine ROI impact with the best heat map software offered only by the experts of Authority Solutions™. The advancement of technology has placed everyone on the same pedestal. It means you and your competitors are on the same footing. If everyone is doing the same techniques, you have to make sure that you make your style different and that you stand out from your competitors. That is why your brand requires the services of leading SEO experts. We offer much more than simple SEO techniques! 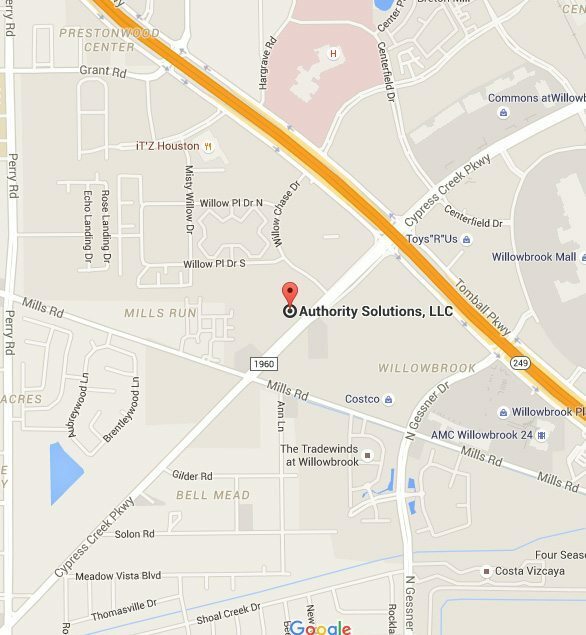 Authority Solutions™ provide SEO strategies that your business needs to stay ahead of the competition. Contact us today at (888) 997-4146, and we will produce the solutions and results that only a top SEO company can deliver.